Nestled between London’s two largest Royal parks – Regents Park to the North and Hyde Park to the South, Marylebone is a stylish west end neighbourhood and architectural gem - effortlessly combining the international, cosmopolitan and urbane chic of a central London location with a gloriously picturesque and thriving village atmosphere - distinctively Parisian in both look and feel. The name Marylebone – pronounced in a range of ways depending on who you ask – is derived from the name of an early 13th century church - St Mary-by-the-Tyburn - the Tyburn being a stream that once ran from Hampstead down through Marylebone and St James’ Park to the Thames. In the thirteenth century the language of the aristocracy was French, so St-Mary-by-the-Tyburn would have been St-Mary-a-le-Bourne (‘bourne’ being the French for a small stream) and from this we arrive at the name ‘Marylebone’ - as we know it today. Linguists continue to debate how Marylebone should be pronounced but popular pronunciations include Marley-bone (Mar-lee-bone); Mar-le-bon; Marry-le-bone; and Marry-le-bon. and managed by the Howard de Walden and Portman Estates, whose aristocratic ancestors, back in the early 18th century, recognised the need for fashionable housing in this then suburb of London. As a result of the thoughtful development of the original owners and the skilful management of the current freeholder estates, Marylebone in the 21st century is one of London’s finest period architecture neighbourhoods, boasting: perfectly preserved Georgian houses; beautifully designed and manicured private residents’ garden squares; elegant Victorian terraces; and palatial mansion blocks. While most of these impressive period properties have now been converted into luxury flats there are still a handful of freehold houses remaining in all their original glory. And there are also some new developments of tastefully designed flats and mews houses coming to market. Though house values in Marylebone have risen steeply in recent years, surprisingly enough, prices here are still more affordable than neighbouring Knightsbridge. Marylebone is rich in culture and every year thousands of tourists flock to its music and entertainment venues and the nearby Madame Tussauds. One of London’s most important and historic concert halls, Wigmore Hall, presents 450 musical performances annually. The Old Master paintings at The Wallace Collection are a must see for art enthusiasts, while theater lovers enjoy innovative events at The Cockpit. If you are planning a move to Marylebone, you’re in good company. This trendy part of London has been home to many famous faces over the years, and the history, style and charm of this part of London continues to draw in the world’s most glamorous residents. 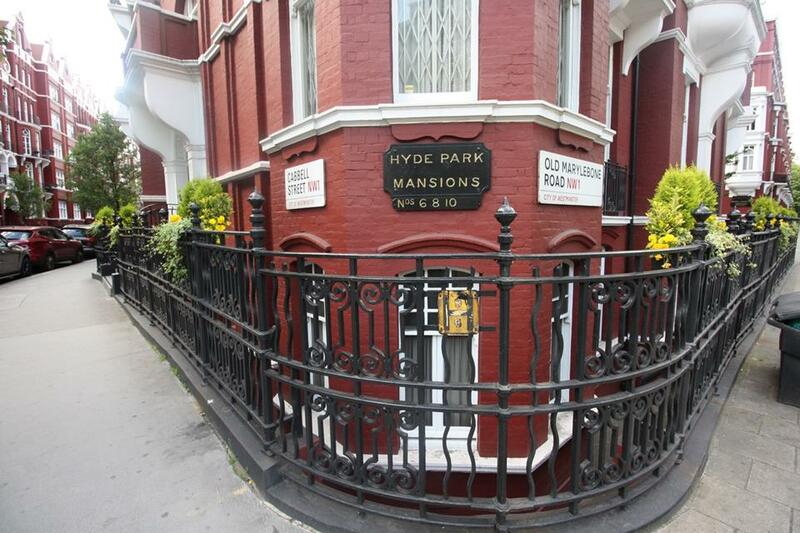 Many celebs have retained a home in Marylebone, while others have stayed but a short time in this fashionable postcode. Either way, there’s no denying that a house in Marylebone comes with some of the most enviable neighbours imaginable.